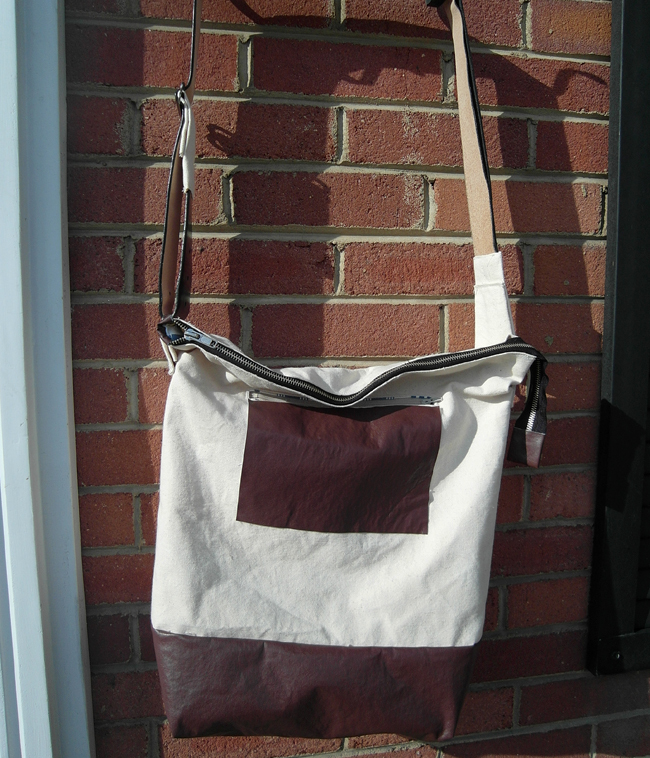 ' B for Bag - Canvas and Pleather bag - Sisters, What! A while ago I came across the Mini Duffle Bag at mishqua.com and just loved everything about it. But it was way out of my price range and sold out. 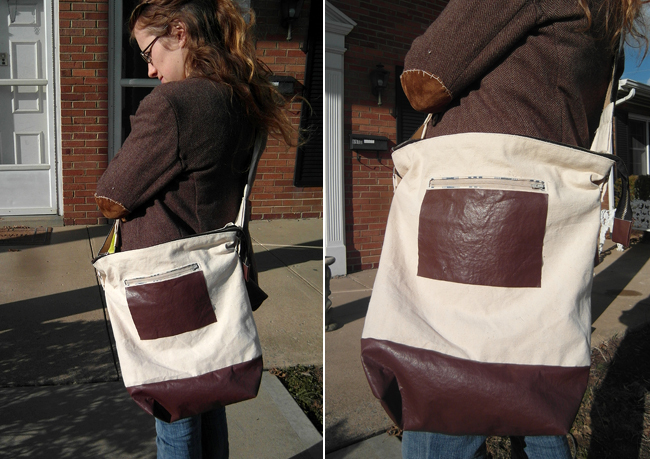 It didn't look too complicated of a bag and decided that I could possibly replicate it. Did I need another bag? no, but I guess I'm like my hubby and really like bags. I made a few changes and I'm very happy how it turned out. I don't really need another diaper bag (or bag at all; ), but i figured this one will be perfect as a diaper bag because of the size and the shoulder strap. Hands free with a little one and a baby are a necessary to me. I put a zipper pocket and two other pockets on the inside for extra organization. 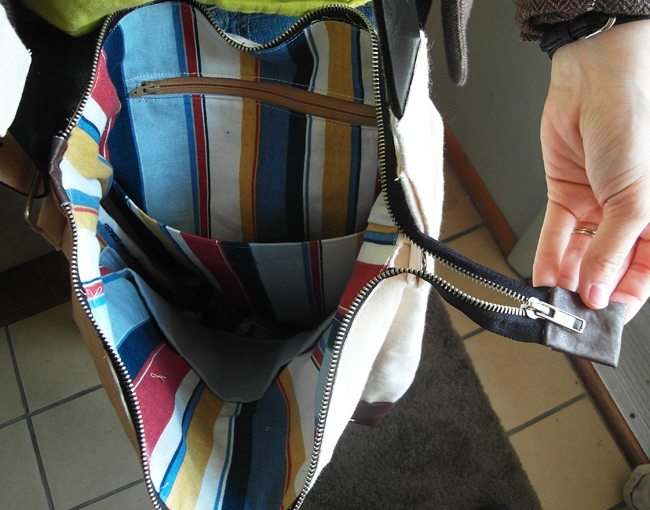 I also made my zipper extend for a wider opening. If there is an interest, I'd love to do a tutorial in the future. Yay for another bag for me! Great bag! Love the organizational stuff on the inside. I'm a firm believer in never having too many bags! Bags are one of my favourite things to make. So many choices, so many ways to personalise them to make them your own. You did a great job with this one. I love it, Havalah! You are really talented. I might have to steal it from you. :) Or at least take a close look at it.